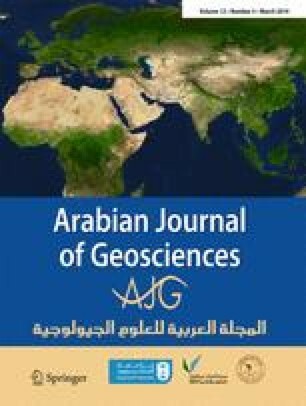 This paper describes a method for identifying places for safe disposal of hazardous waste materials in the Egyptian Suez Canal Corridor. Hazardous waste is defined as a material that poses a threat to public health and the environment because of its ignitability, reactivity, corrosively, or toxicity. Industrial zones of the Suez Canal corridor produce large amounts of hazardous waste. To mitigate the deleterious impact of hazardous waste, it should be disposed of in an environmentally safe process. This includes selecting a site that will not contaminate groundwater, create dust, and noise in residential neighborhoods and has the capacity to last at least 10 years. The standards used in this paper were established at the Basel Hazardous Waste Convention in 1992. They include social, economic, environmental, geological, hydrological, and geomorphological variables. Geographic information systems (GIS) and remote sensing were used to prepare a geospatial database representing the Basal Convention criteria for the study site. The information required to build the geospatial database were collected through field surveys, interpretation of satellite images, and from previous published scientific research. The criteria were weighted based on their roles and importance. Based on the weighted criteria, an analytical hierarchy process (AHP) was used to select the most environmentally sound sites. Through the AHP, two suitable sites were identified as being suitable for hazardous waste disposal.